WHEN you drive a beautiful car, people will spread gossip about you. 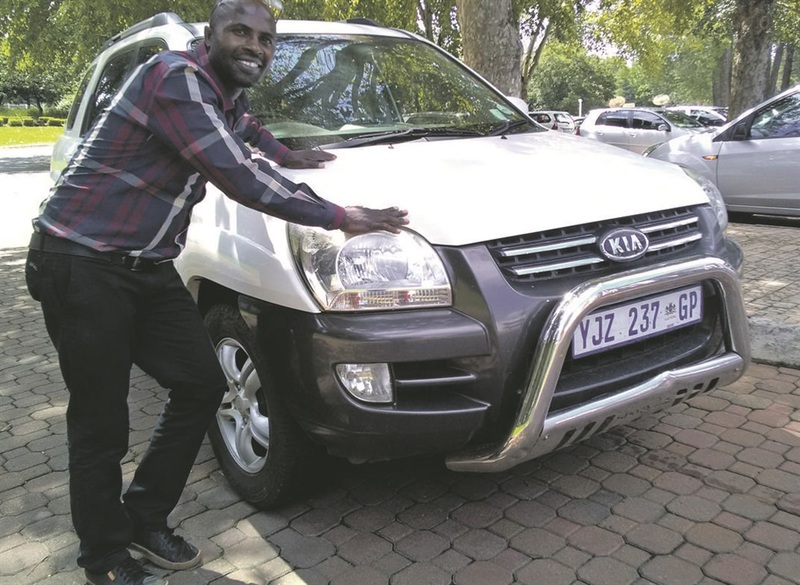 This has been Nchabeni Malwela’s experience since he got his new wheels last year. “People say I am showing off when I press some buttons in my car to adjust the mirrors,” said the man from Laudium in Pretoria. Q: Is it your first car? A: No, it’s my second but it’s closest to my heart. A: It is classy, comfortable and has great fuel economy. I have wanted this car for three years. I would stare when I saw this car on the road. Buying this car last year was a dream come true. Q: Who else can drive it? A: Nobody else. Maybe I will let my wife drive it in future but not now while she is learning. A: Yes, my car was nicknamed Heavyweight for its size. Q: How far have you driven it? A: I have driven it to Giyani and Musina but I mostly drive it around Gauteng. Q: Is the colour important? A: No. It’s white, which is okay, but the colour did not inspire me as much as the thought of owning the car. Q: How many traffic fines do you have? A: None with this one. I had speeding fines in the past, driving other vehicles, but I paid them all off. Q: What do you think of other Mzansi drivers? A: I respect all drivers on the roads but on the freeway, I get challenged all the time. Some drivers try but cannot beat my Heavyweight. My wheels are very powerful and they can never beat me.